Hi there! Are you finished with your holiday shopping? 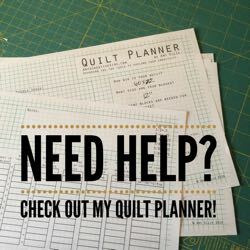 Me either, but I am making Sew Along plans for the new year! 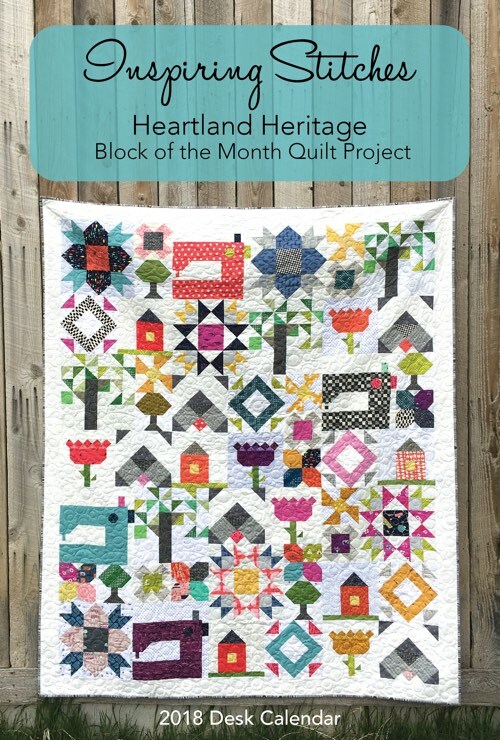 Heartland Heritage makes for the perfect Sew Along project, and each month I’m planning to share my sewn blocks with you in this space. I’d love to have you join me on this adventure too! 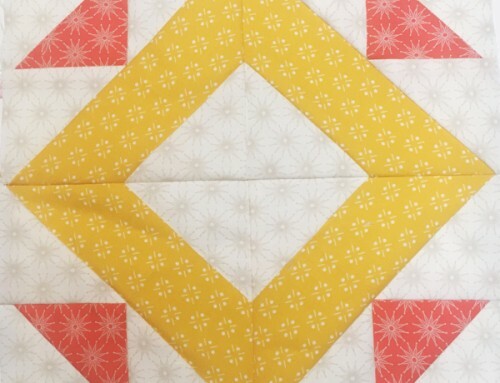 We are working on a baby quilt layout that includes just one of each block in the calendar. 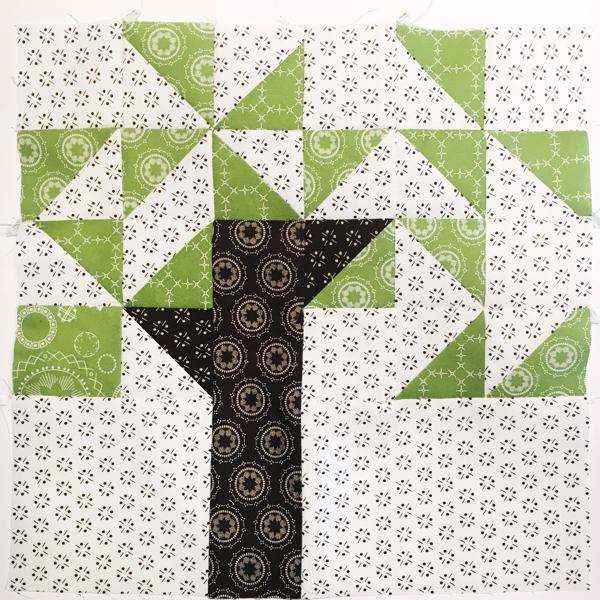 Since I’ve already made the whole quilt, a smaller project seemed fitting. And sharing with you is an added bonus! 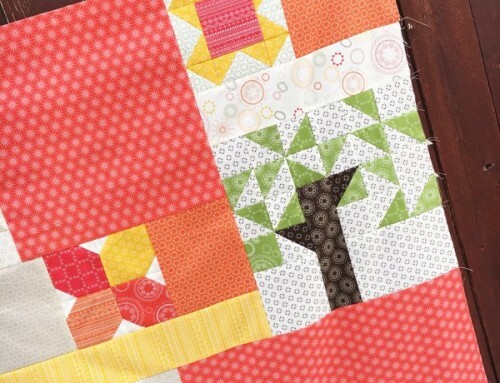 The second Wednesday of each month, Heather and I will be posting our new blocks, with a helpful hint or tip as needed. We are calling it our Sewday, and hope that you will sew with us too. We both have a similar but different aesthetic in the sewing room. 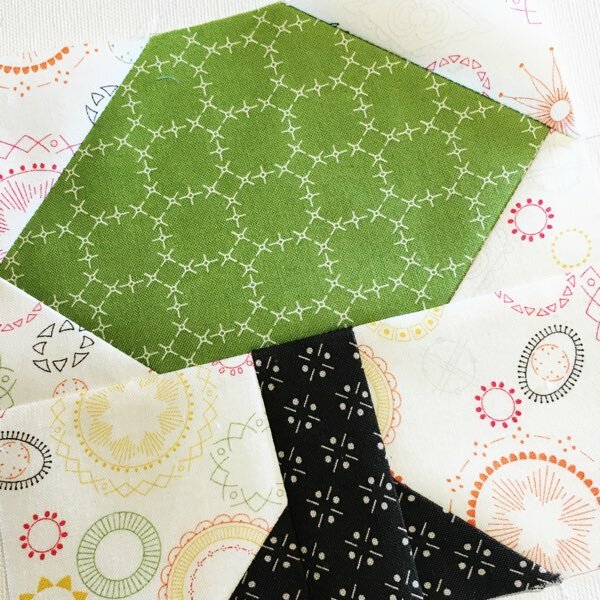 It’s really fun to find that we have the same fabric in different places in our quilts. 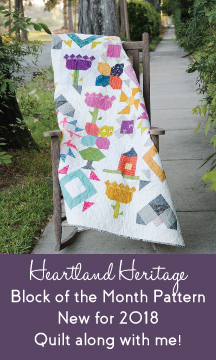 Our first Inspiring Stitches pattern – Heartland Heritage is available in local shops listed HERE. You can purchase online HERE, and lower in this post. The finished quilt in the pattern measures 68″ x 74″. 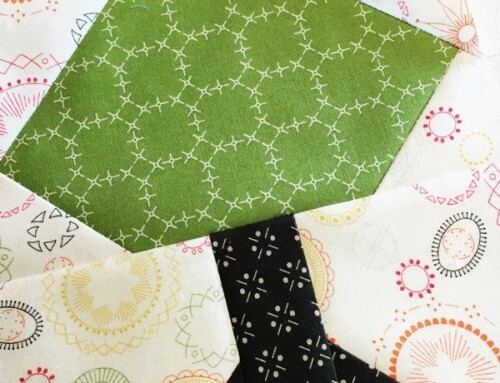 Heartland Heritage is the perfect project for your scrap bin, that said I know some of you will want to use your favorite fat quarter bundle too! You will need at least 23 fat quarters, and 5 yards of background fabric for the background and borders. You will also need 2/3 yard of binding, and 4 yards of backing fabric. 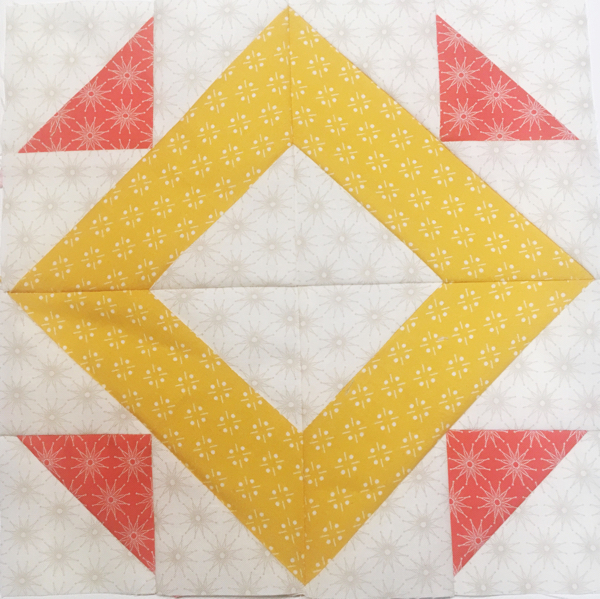 Each month the Inspiring Stitches blog will have a Linky for everyone to share their finished blocks in. 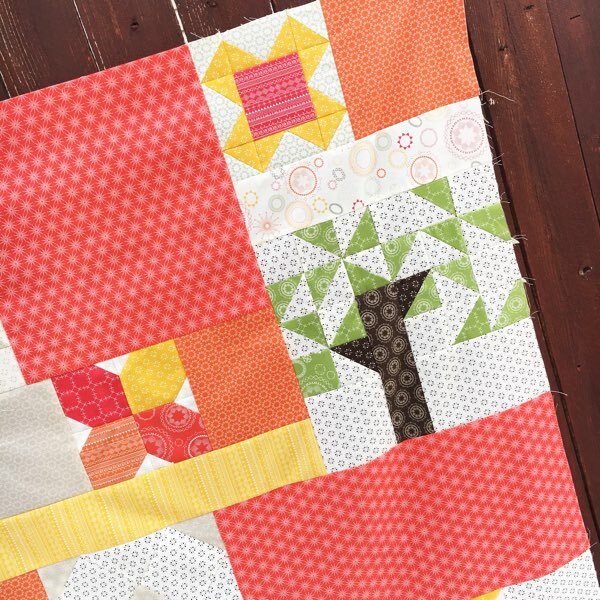 This is a fun way to explore new fabrics and how you might further customize your blocks month to month. You can also use #HeartlandHeritageSAL when posting to Instagram. Do you have a friend, neighbor, daughter, son, co-worker, etc. that keeps mentioning the desire to learn to quilt, but has yet to jump in? 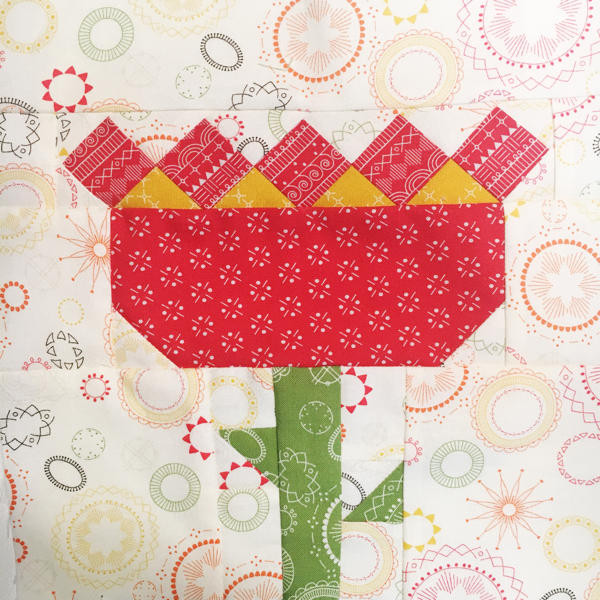 Consider gifting them this pattern/desk calendar, to sew with you! 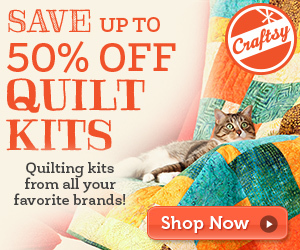 You might include a shopping trip to your favorite quilt shop, to help them select fabrics to get started. 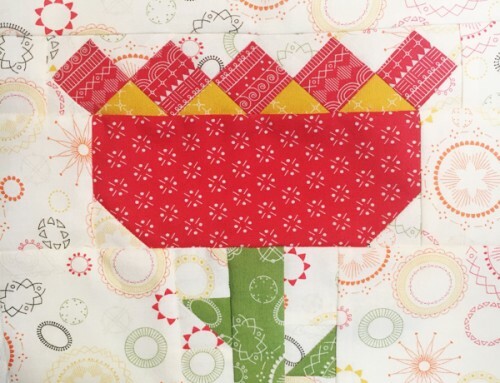 Sharing of yourself and your abilities is the best way to add to the quilting community. I’ll be back here with more details as January draws closer, grab your pattern now – I can’t wait to sew along with you! Absolutely Mary! Great for beginners looking to improve skills. Thanks! 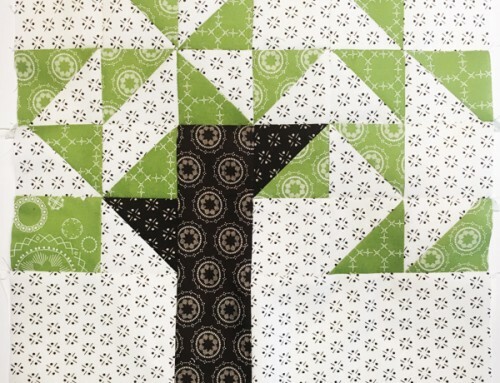 The pattern is on sale today at Fat Quarter Shop for $`13.99. Great for Christmas! !